India stands strong on day 1 at stumps in the 4th India vs Australia test match at Sydney. 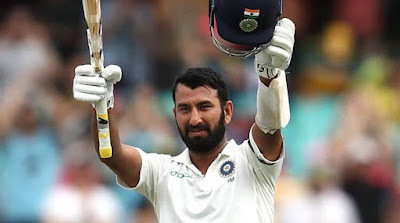 Cheteshwar Pujara’s unbeaten 130 and Mayank Agarwal’s 77 helped India get off to a strong start in the final Test at the Sydney Cricket Ground. India leads the series 2-1 after winning the opening clash in Adelaide and the third one in Melbourne. Australia has taken the wickets of KL Rahul, Agarwal, Virat Kohli and Ajinkya Rahane on day 1.